Learn the rich 1,000 year history of the Jacks (or Knaves) and King of Hearts...and also learn many excellent patter ideas. Also learn their real meanings and excellent presentations to really "spice up" your card magic. In addition, learn all about Paul's awesome underground sleight, The Incomplete Faro Transfer and learn an amazing trick to use with it, The Indicator! No Perfect Faro is used. This underground sleight is brilliant and will "fool" the pros. The method is simplicity itself yet the execution is diabolical. The Indicator seems to be impossible and you'll fool everyone at your next magic meeting. You do not need to perform a Perfect Faro - ever - with the Incomplete Faro Transfer...or IFT. 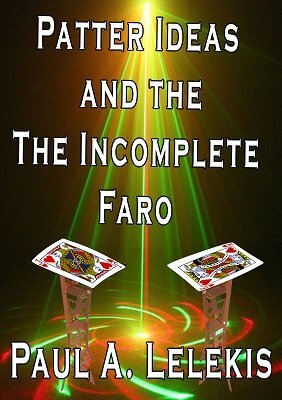 The Incomplete Faro Transfer is a true "magician-fooler"- and there are many, many tricks you can perform with it. And...it is so easy to do!